Meta-Cleanz is a heavy duty, non caustic, low foaming cleaner specially developed for the removal of grease, oils and fats from ovens, baking trays, heat exchangers and other equipment in food processing industries where the use of caustic would damage surfaces. 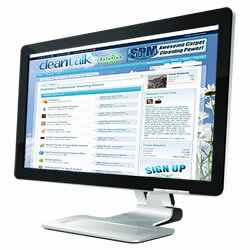 Meta-Cleanz is ideal for use in dip tanks, floor scrubbing machines, pressure washers or manually with mop and bucket. Safe to use on brass, copper, aluminium and galvanised steel. Dilute product up to 1:50, depending upon the degree of soiling. For light duty cleaning, damp moping etc, dilute up to 1:100. For hot and cold pressure washing, dilute up to 1:200. A very impressive product. Spray onto the inside of a warm oven and watch the grease start to run.